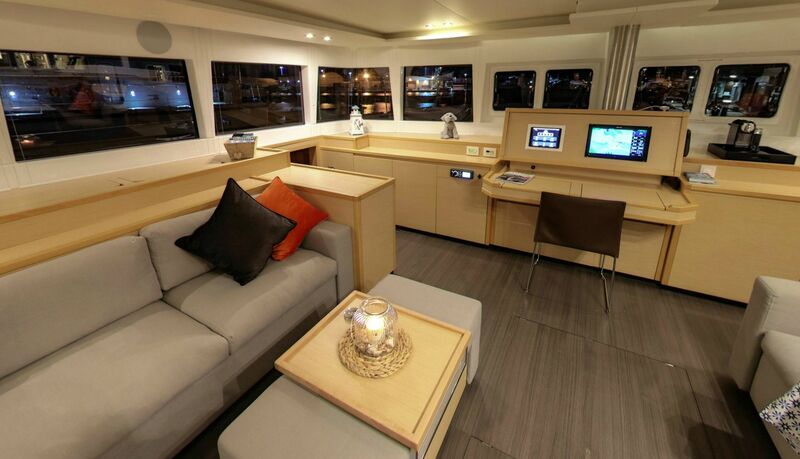 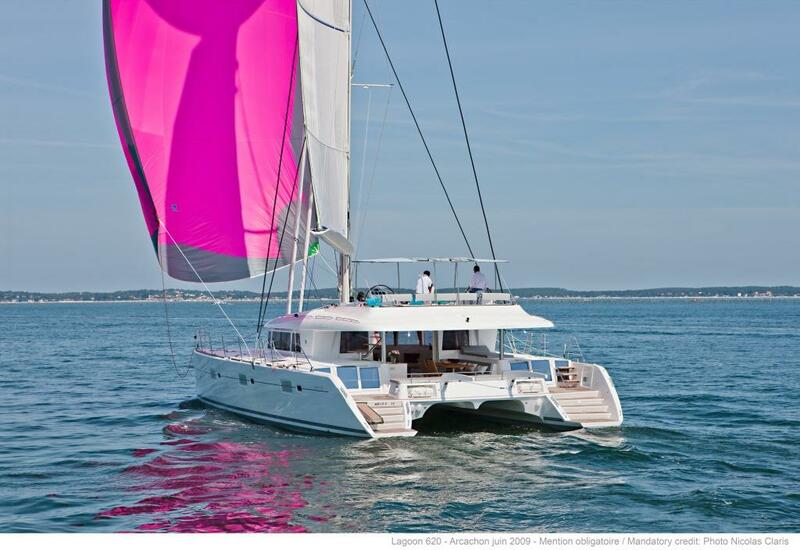 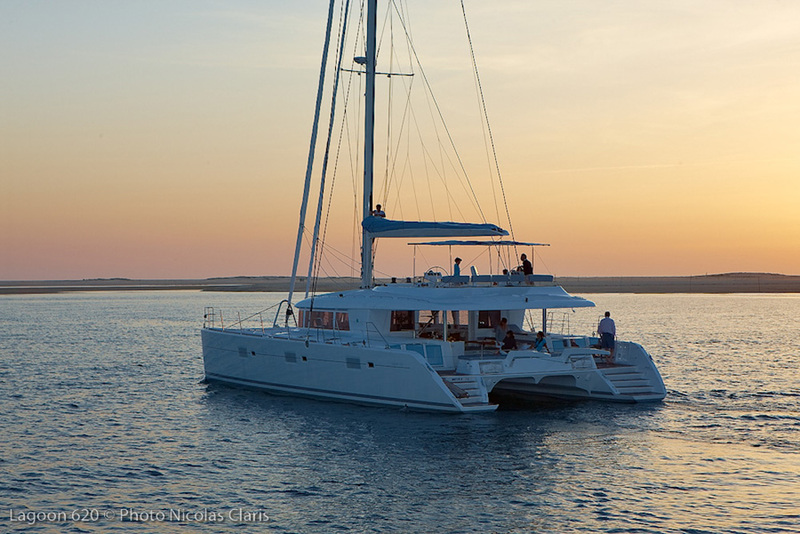 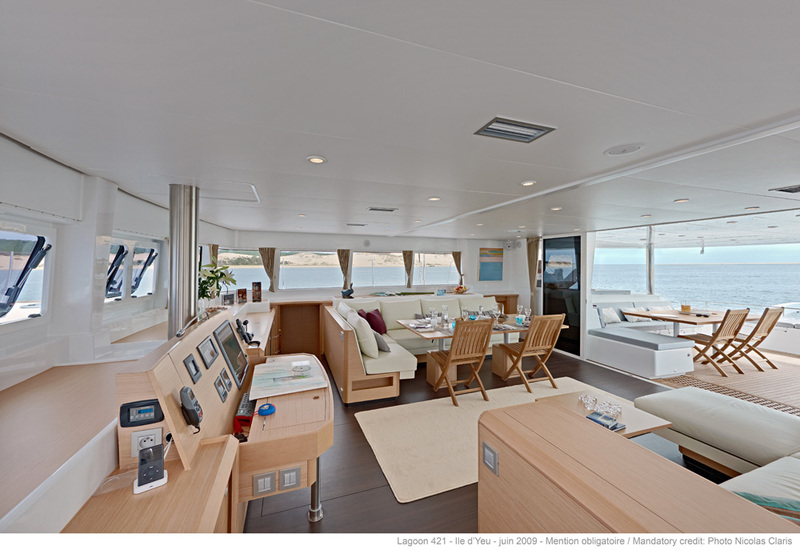 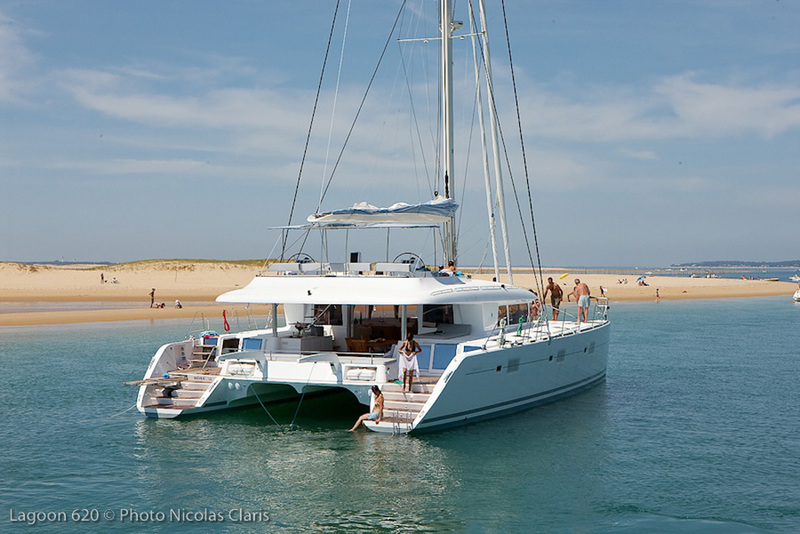 Luxury sailing catamaran MOOSE is a Lagoon charter yacht measuring 18.90 metres (62’) and launched in 2015. 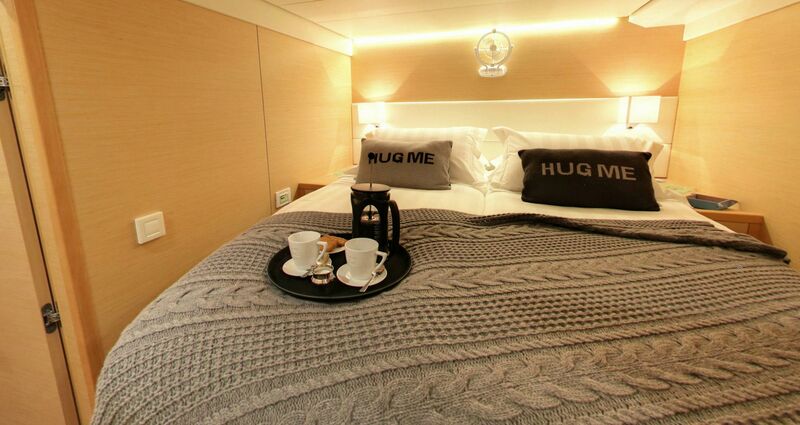 She has a professional crew of 3 and offers accommodation for up to eight guests in four spacious cabins. 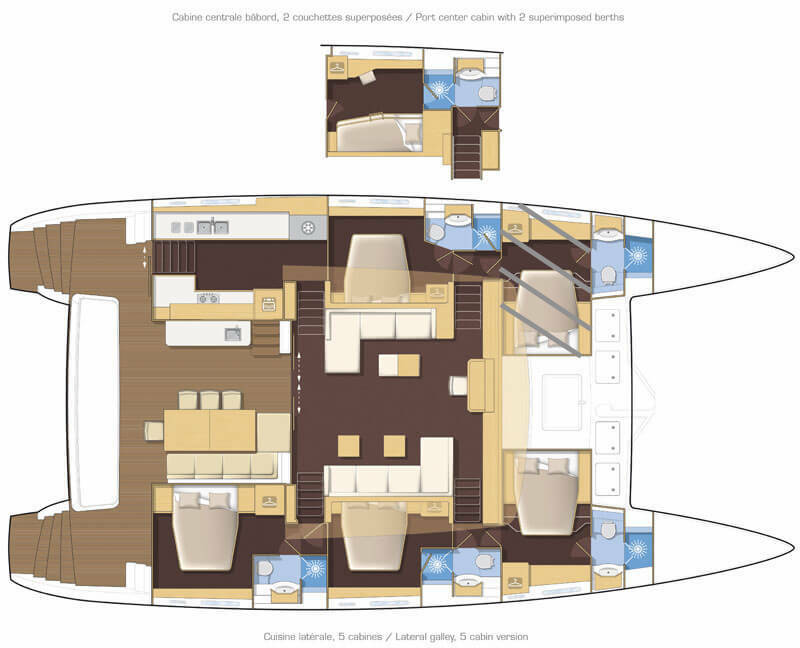 This yacht is a fabulous choice for holidays featuring innovative design plenty of light and great onboard spaces. 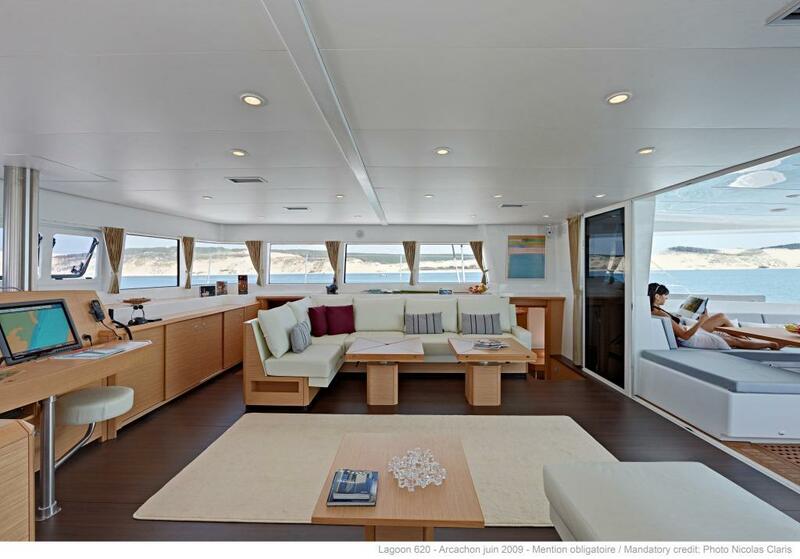 The vast saloon offers 360° panoramic views, thus allowing for plenty of natural light to penetrate the entire area. 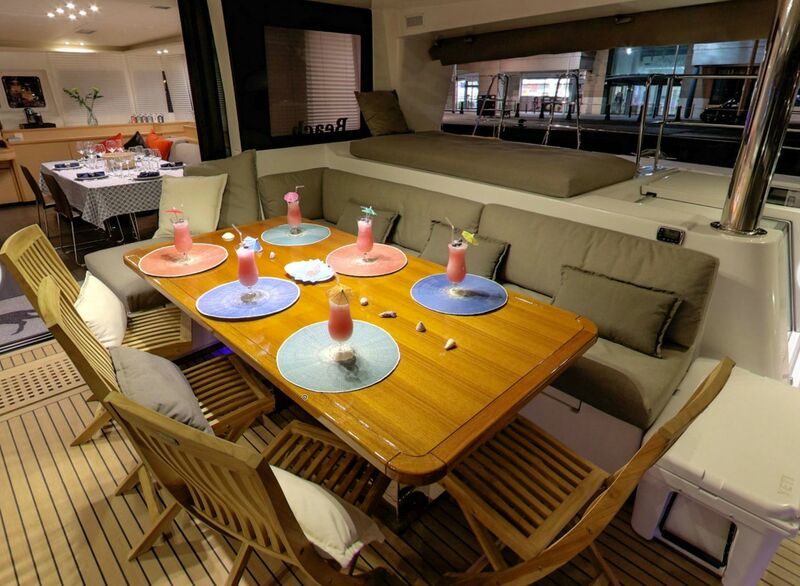 Three exterior deck areas, including the aft deck for alfresco dining, offer space for everyone to unwind. 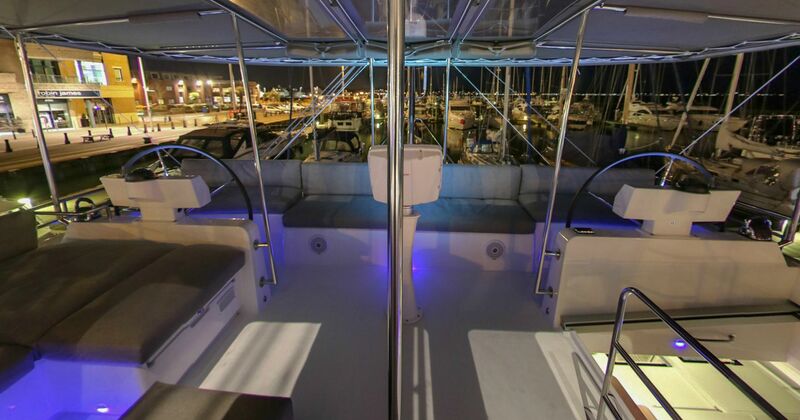 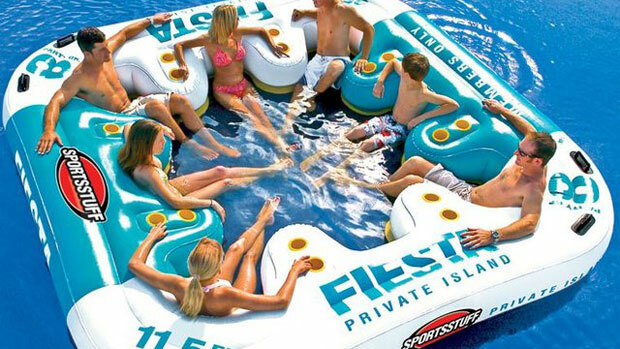 The upper deck has a large bimini as well as triple sun beds, while the foredeck is fitted with huge sunbathing areas and the very popular trampolines. 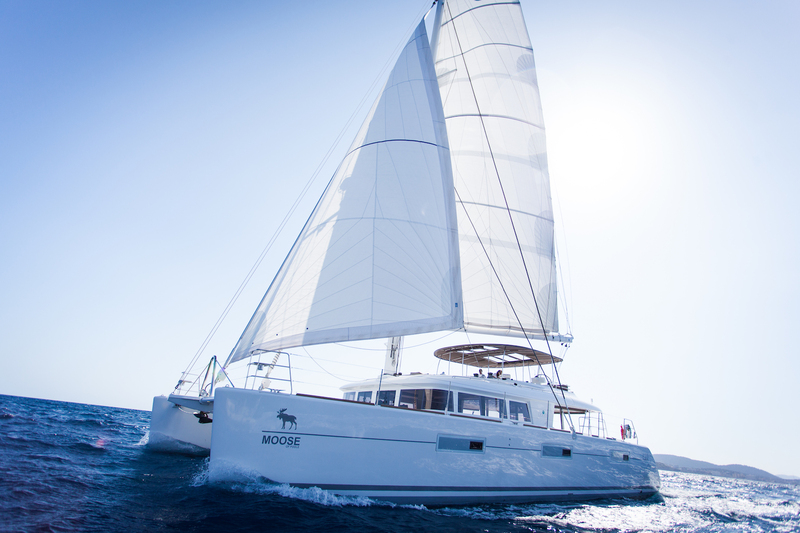 Powered by two 150hp Volvo Penta D3 Diesel engines, MOOSE reaches a top speed of 10 knots and a cruising speed of 8 knots. 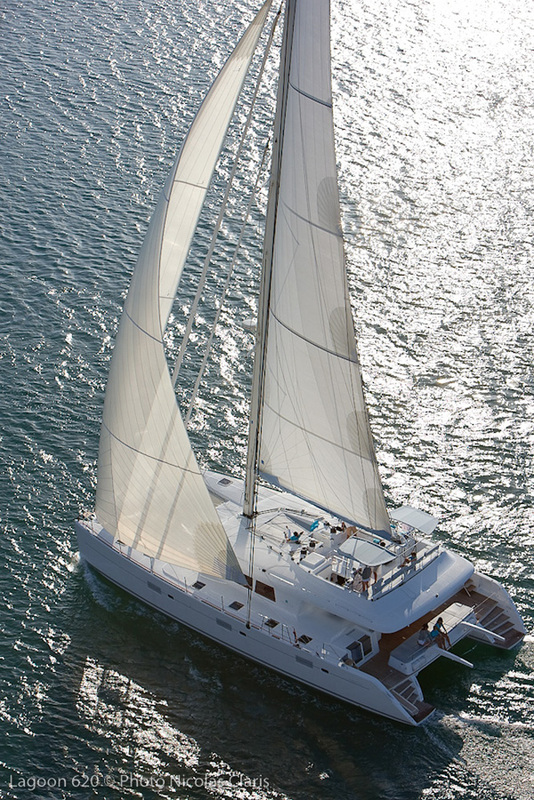 She has a low fuel consumption of 15 litres per hour. 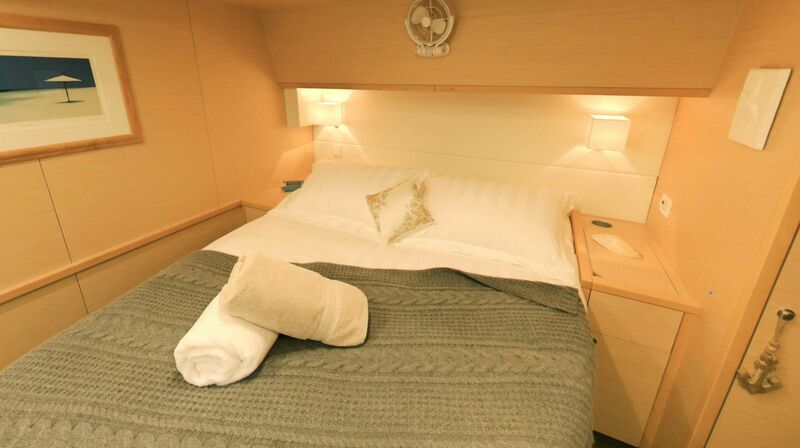 MOOSE offers 4 double cabins including one Owner's cabin in the starboard hull with picture windows, private access to the cockpit, lots of natural light and an en-suite. 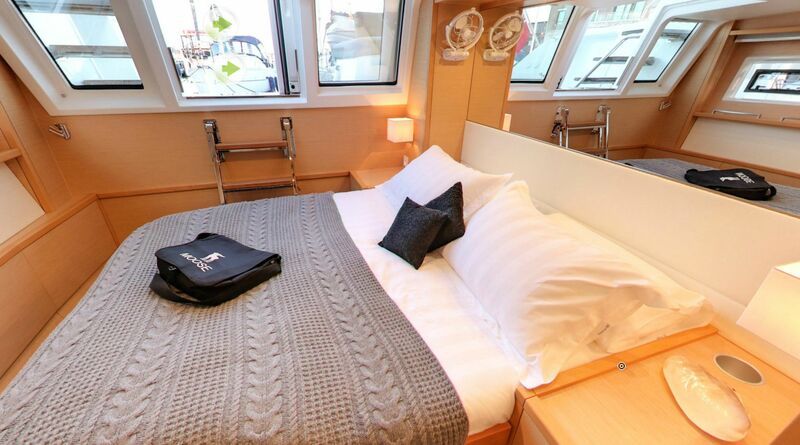 The Guest cabins all afford the same standard of comfort with a double bed, good storage space, natural light and en-suite.